Do you know what’s hiding inside your tea bags? Tea is meant to be good for your body and your health, an herbal product created from nature’s leaves and blooms, meant to be enjoyed organically. If it’s true organic tea that you’re looking for, make sure you stick with the best organic tea brands – the tea producers who are true to their claims, and keep your cup free of any dangerous additives. How Can You Tell Which Teas Are Organic and Safe? There are so many reasons to choose organic when shopping. From the food you eat to the beverages you drink, organic products help to ensure that you know exactly what has gone into each and every item. Organic tea brands line the shelves of tea shops, coffee stores, and even your local grocery store, so it’s become increasingly easy to purchase organic tea anywhere you shop. Unfortunately, according to Food Babe, those organic tea brands aren’t always being honest when they wear the “organic” and “natural” labels. As Food Babe details, many of the tea brands that claim to be the best for your healthy lifestyle aren’t true to their word. Many popular brands, most predominantly the popular Celestial Seasonings available everywhere, are in fact not washed before the leaves are bagged. This means that, should any chemicals or pesticide products have come into contact with the tea, they will appear in every sip of your “organic” tea. According to Food Babe, research shows that 91 percent of Celestial Seasonings tea contains pesticide residues that exceed the amounts allowed by the U.S. government. Note to readers: Food Babe is a somewhat controversial figure when it comes to some of the claims she has made, there are a lot of people on online who follow her and agree with her but there have been numerous instances where her claims have been wholly or at least partially debunked, so make sure you’re doing your own due diligence and not taking any single source’s claims as gospel. We’re just mentioning this in the name of being balanced. Another reason to be picky about your organic tea brands is the pesticide problem extends far beyond Celestial Seasonings. In fact, even loose leaf and “gourmet” tea brands aren’t always faithful to the word “organic.” Teavana, one of the biggest brands of loose leaf tea, was found to feature pesticides in every one of its teas by independent researchers. There are brands of tea like Tazo that have organic offerings, along with non-organic, depending on what your preference is. In the same vein, the brands Tetley, Bigelow, and Mighty Leaf may contain some pesticides – and they rely on artificial flavoring to infuse taste into their teas. Check if the tea brand holds two certifications: organic and non-GMO. These certifications mean the tea has been verified to contain only organic and non-GMO ingredients. Look at the ingredient list, and be wary of “added” or “natural” flavors, as well as any odd items such as corn starch. Try to choose loose leaf over ground, pre-made tea bags. Loose leaf teas have undergone less processing, and are often more natural in their creation. If you want to be certain the tea you sip is truly organic, it’s a good idea to find a brand – or a few – that are known for their all natural teas. Fortunately, a great organic tea is easy to find as long as you know a little bit about the company, their tea-making process, and their products’ contents. Check out the following brands, all of which are known to be fantastic organic tea brands that create delicious, good-for-you teas. 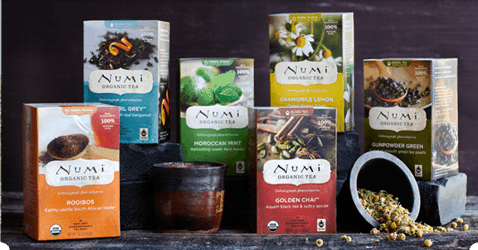 The creators of Numi Tea strive to bring the best possible tea to tea enthusiasts everywhere – and they prize themselves on fostering health along with great-tasting tea. But, of course, the highlight of Numi Tea is that it is high in quality, and both organic and Fair Trade certified to ensure you’re drinking only 100 percent pure tea. 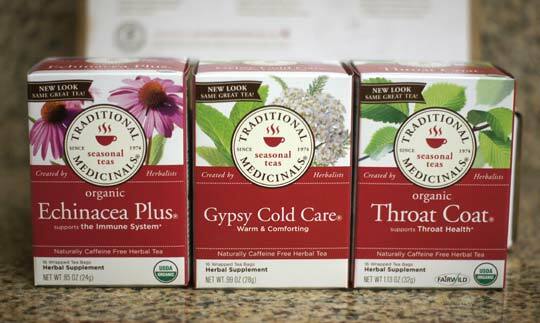 At its heart, Traditional Medicinals tea is all about quality. Every blend this brand creates is held to a high standard of quality, the herbs carefully chosen by trained herbalists to ensure the tea is pure, organic, and sustainable. The creators at Traditional Medicinals develop their teas with the principles of organic plant-based wellness, hoping to inspire well-being in those who turn to their teas. 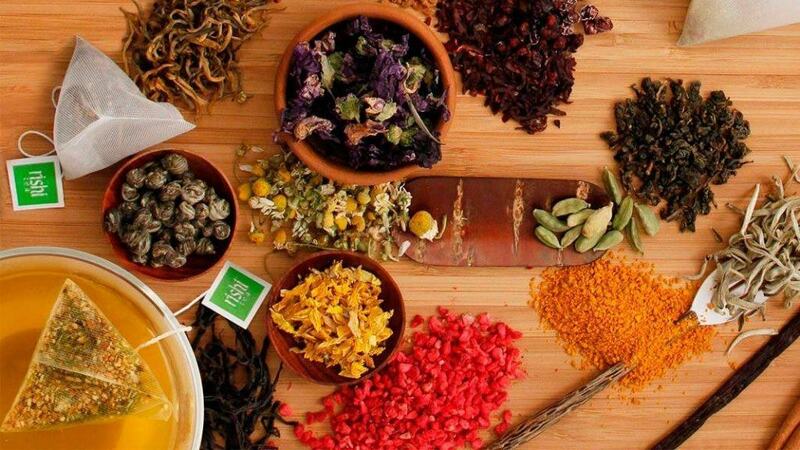 Founded on the passions of international cultures, worldwide culinary traditions, and herbology, Rishi Tea grew into the organic tea brand it is today based on its creator’s desire to produce quality tea – true tea. Even the name of this brand holds signs of its pure and organic nature, as rishi means “seeker of truth.” All Rishi Tea products come from nature, not labs or processing plants, and the goal is to produce natural and healthy teas. No matter which of these organic tea brands becomes your favorite, you’ll be able to enjoy every cup of tea with the knowledge that what’s in your cup is truly the best nature has to offer. Free of any additives, unnatural flavoring, or otherwise dangerous products, organic tea should be as pure and natural as its environment to help you achieve wellness. At the end of the day, if you’re drinking a quality tea, you’ll just enjoy it that much better. Whether you’re looking for the best tea for headaches, or a tea to help avoid cramps, or any other number of things that tea is used to help with – keep it organic as much as you can.